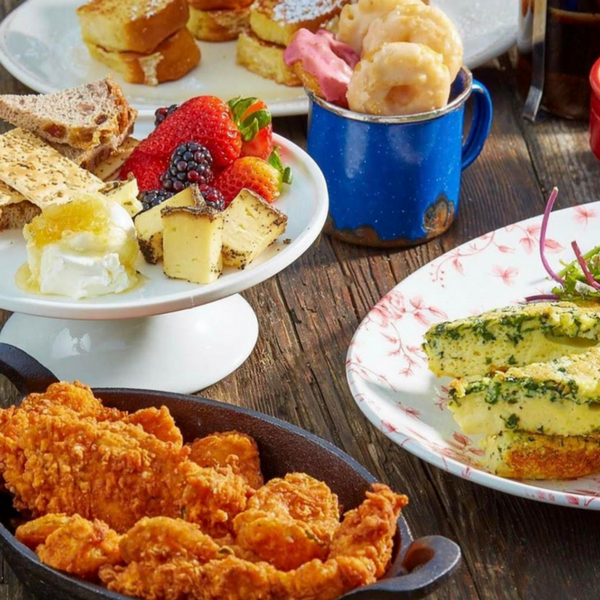 With the help of Visit DFW, I’ve compiled a list of my top five brunch spots and a brief explanation on why these restaurants made the cut. Hungry yet? You will be after reading this! 5) The Rustic: Nestled right in the middle of Uptown’s hustle and bustle, The Rustic offers a unique dining experience. Patrons can dine inside or on the sprawling outdoor patio, which, often is the home to some of the best live music you’ll find in town. The Rustic is huge and great for folks of all ages! Their Jam and Toast Brunch, which is offered Saturdays and Sundays from 10am to 2pm and is served family style. For just $16.95 a person, diners enjoy a sampling of over seven brunch items. The Rustic makes brunching so easy, you don’t even have to think about what to order, even that is done for you! 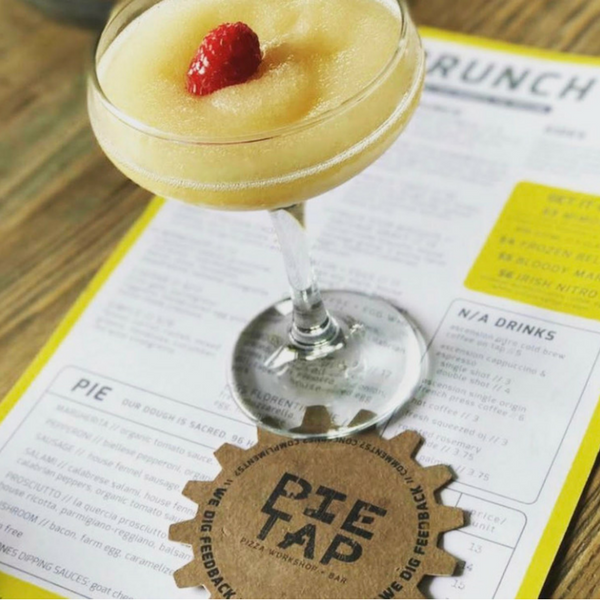 4) Pie Tap Pizza Workshop and Bar: I know what you’re thinking, pizza for brunch? The answer is yes! Although Pie Tap Pizza Workshop and Bar offers so much more than just killer pizza’s (don’t miss the smoked salmon breakfast pizza), they make my list of top brunch spots because of their consistently great food, service, drink specials and patio! With two Dallas area locations, each with its own, unique vibe, Pie Tap Pizza Workshop and Bar is a hot spot that can’t be missed. The $10 carafe of mimosa that comes in a chemistry flask doesn’t hurt either! Pie Tap Pizza Workshop and Bar offers brunch on Saturdays and Sundays from 10am-3pm. 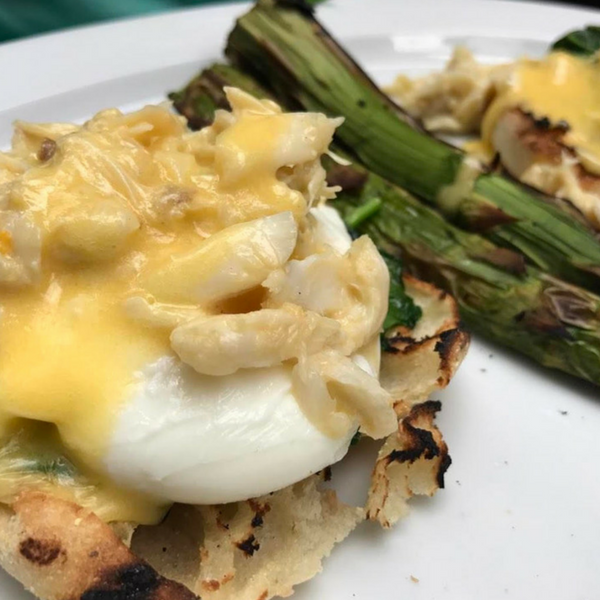 3) Mercat Bistro: Serving up traditional French fare and continuing to be one of the most quaint and special hidden gems in town, Mercat Bistro is my go-to spot for brunch. Delicious specialty coffees, crafted brunch cocktails, a covered gazebo patio and, often times, live music make Mercat a shoe-in for a great experience. Be sure to make reservations because Mercat houses no more than fifteen tables, give or take, and it gets quite busy. I can’t blame other diners though, Mercat Bistro has hands down the best quiche in town! Brunch is served Saturdays from 9am-2pm and Sundays from 10am-3pm. 2) Stirr Dallas: With easily the most stunning view of downtown Dallas from their upstairs patio, Stirr offers diners a fun twist on American-style brunch. From giant house-made cinnamon rolls to banana foster crepes, Stirr’s menu includes several classics but executed in a modern way. They even offer a giant Moscow Mule that will set you back $150 but will be sure to keep several friends hydrated and, of course, make for an awesome photo opp! You’ll want to come early to this Deep Ellum hot spot and be sure to check out the upstairs patio, it’s worth the trip alone! Brunch kicks off at 10am both Saturday and Sundays at Stirr. 1) Water Grill: Located in the heart of McKinney Avenue in Uptown, Water Grill is a California-based company that is fairly new to the area. 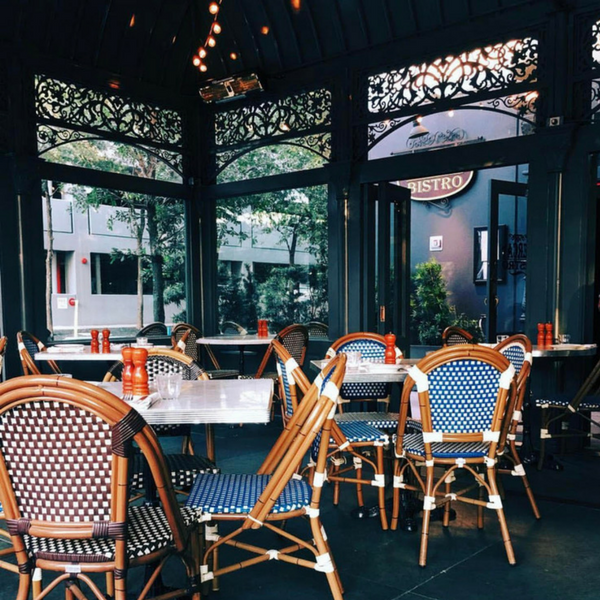 With a stunning and elegant dining room and patio area, Water Grill makes our list of best brunches thanks to their incredible seafood dishes and impeccable service. Water Grill certainly is one of the more upscale options for brunch, however, the price point isn’t outrageous given the quality of food here. The House Smoked Atlantic Salmon and Bagel dish will change your life! Brunch at Water Grill begins at 11am both Saturdays and Sundays.